Paul Scholes believes Manchester United’s world record signing Paul Pogba is 'all over the place' since completing his over £89m move from Juventus as the club slumped to a second consecutive defeat in the Europa League clash with Feyenoord. Scholes says Manchester United’s world record signing Pogba is not performing like the player the club bought for £100 million. The former United midfielder watched on from the sidelines as United suffered a surprise 1-0 defeat at De Kuip on Thursday night, with Tonny Vilhena scoring the decisive goal 11 minutes from time to get the Dutch side off to a dream start. It leaves Jose Mourinho’s side reeling from a second loss in as many matches following last weekend’s defeat in the Manchester derby. And Pogba has come in for extra criticism after both matches for losing his positioning. Former Liverpool defender Jamie Carragher launched a scathing assessment of Pogba at the start of the week in which he claimed he 'felt sorry' for Pogba’s midfield partner Marouane Fellaini. And Scholes has echoed his former England teammate’s comments by adding that he doesn’t see Pogba playing in a designated position. After making a bright start to life at Old Trafford, Pogba has struggled in his side’s two most recent games, the latest of which ended with United going down 1-0 to Feyenoord in the Europa League on Thursday night. And while the post mortem on the Red Devils’ second defeat in a week largely centred on the underwhelming efforts of some of United’s fringe players given an opportunity in Holland. Marcos Rojo, Morgan Schneiderlin and Matteo Darmian, among them — Scholes trained his focus on Pogba’s ineffective display. “It’s been a little bit of a struggle for him so far,” said BT Sport pundit Scholes. “Tonight, again, wasn’t his best performance. I think it will come. It’s still very early days. I don’t really know what position he’s playing at the minute. Has he got a position? Has he been told to play where he wants? “He seems to be a little all over the place at times. I think he’s trying to do too much on the ball. He’s trying to beat three or four players. He’s running with the ball. He should keep it simple for now. Pogba also came under fire from Sky Sports pundit and Sportsmail columnist Carragher for an “ill-disciplined” performance in the Manchester derby last Saturday — a match United lost 2-1. But Scholes has no doubts concerning the 23-year-old’s ability. Despite their huge outlay on four players in the summer Scholes believes his former club might need to dip back into the transfer market to solve the Pogba conundrum. Specifically, Scholes says the Frenchman is suffering for the absence of a truly creative force in United’s side; a playmaker in the ilk of Andrea Pirlo — the brilliant Italian who orchestrated matters in Juventus’s engine room during Pogba’s time with the Turin heavyweights. “He needs a controlling midfield player next to him,” said Scholes. “I know he’s (Mourinho) happy with the four players he’s bought but they still need that type of player. A Luka Modric or a Toni Kroos (the Real Madrid midfield pair). “I think these players are available. 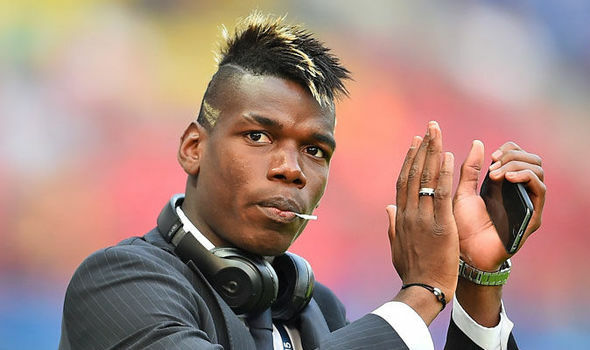 I think Paul Pogba would be a much better player playing with these types of players.” — Daily Mail.